Let’s talk about magic items. If you’re a GM, are you placing them in your adventures? If you’re a player, are your characters finding them in their delves? I hope so! Since we’ve been talking about adding a shrine to the Dragonslayer to our Robber’s Bridge adventure, I thought we might take a deeper look at the cult this week and explore its most closely held secret. 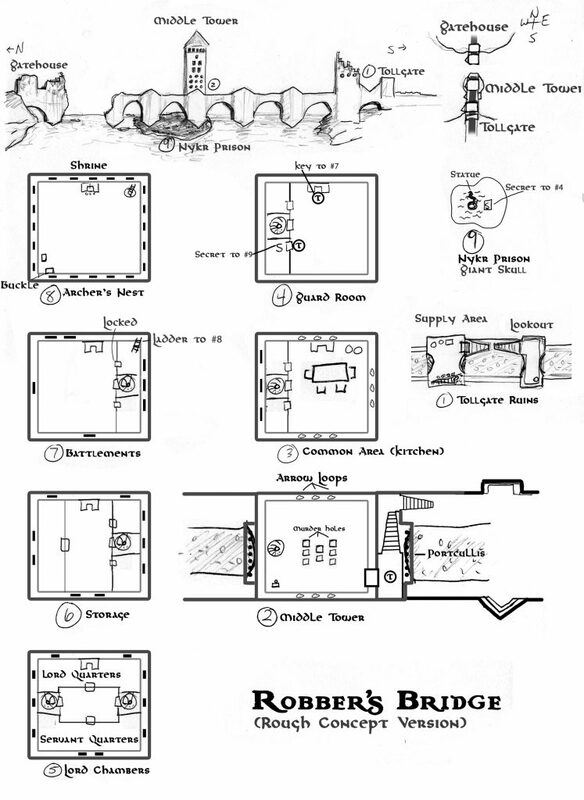 Note that the rules for the Mysteries of Lith have not yet been playtested. If you use them in your games, I’d love to hear about it. Do you need even more Torchbearer in your life? The cool cats at Mordite Press, makers of ‘Wicked dope Torchbearer Sagas content’ are at it again. 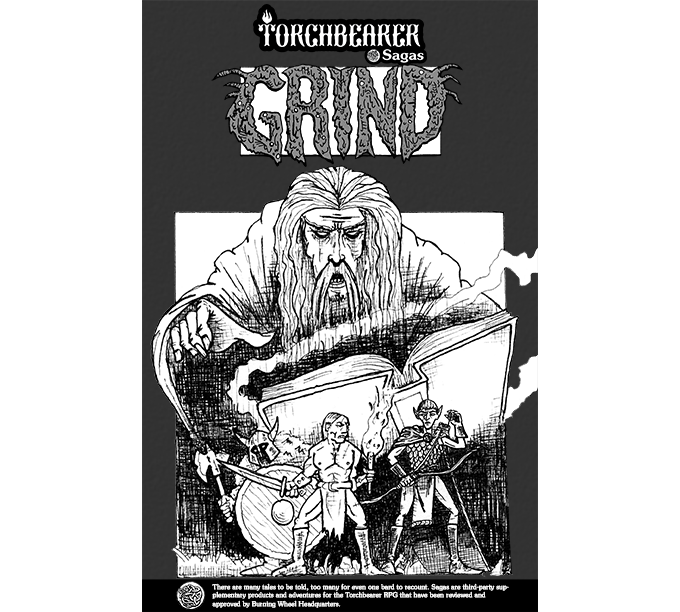 Today, as part of Kickstarter’s RPG Zine Quest, they launched The Grind, a Torchbearer zine packed with stories, one-page adventures, adventure ideas, monsters, items, town locations, NPCs, and more. A few weeks back we explored using the Ættir1See Of Trolls and Men, Middarmark, page 91 in Torchbearer games set in the Middarmark. In particular, we took a look at Ran Deepmind, ættir of the Ageiring clan led by Jarl Stigand. Ran, though much diminished by the near obliteration of the Ageirings in the Battle of Sølvfjord nine years ago2See Sudstrond, Middarmark, page 22, seeks to guide her descendents back to greatness. But the Ageirings have many enemies standing in the way of the young jarl’s path back to power. Perhaps the most immediately dangerous are the Tualings, a clan of Græling3See Grælings, Middarmark, page 14 outlaws with a score to settle. Our adventure is really starting to come together. If you’re new to this series, we’re collaboratively developing a short Torchbearer adventure. Last time I asked for your input on various features of the map and you provided some great suggestions. Let’s nail down the details. If you’re new to this series, we’re collaboratively developing a short Torchbearer adventure. Last week we took a look at a concept map from Mordite Press developer D. Koch. Above Koch has provided an updated map adjusted for many of the things we discussed. 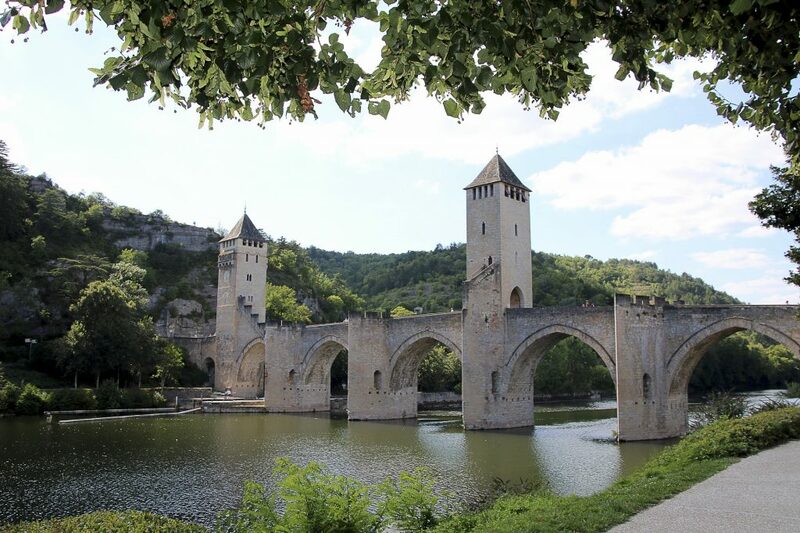 You’ll note that the break in the bridge has been enlarged and the Middle Tower now has a portcullis on either side with murder holes that could be used against attackers trying to pass through. There’s also a stairway on the southern side of the Middle Tower that grants access to the upper levels of the tower. There are still a few issues that I need your help to address, but first I want to circle back to some of the questions raised in Part III. The suggestions are below. What do you think about them? Which ones do you like or not like? Do they suggest any additional ideas to you? Check out this amazing concept map from Mordite Press developer D. Koch! This is really starting to come together! 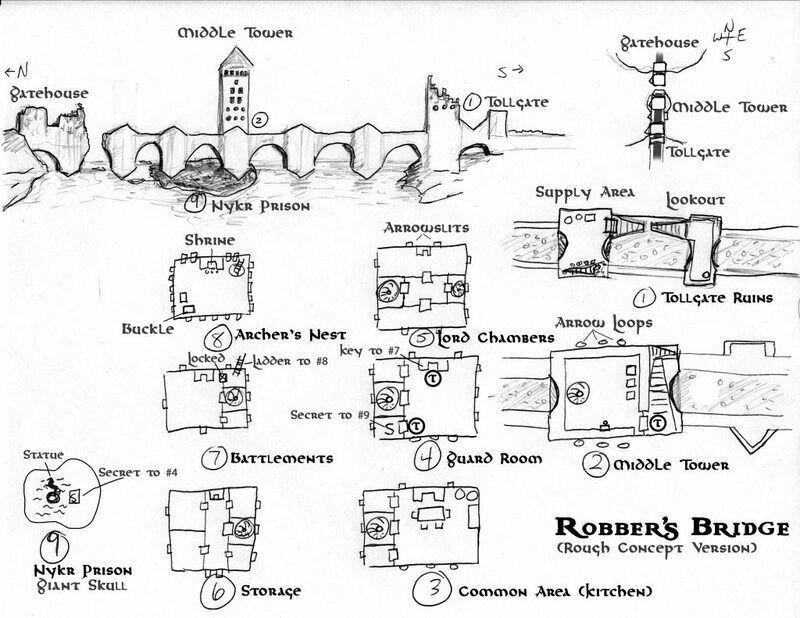 Thanks to everyone who chimed in with their thoughts on the submissions for the Robber’s Bridge adventure. Everyone contributed some great stuff! I would encourage everyone to recycle some of those ideas for your own adventures. I’ve taken everyone’s feedback, incorporated some of my own editorial discretion, and brought it all together. There’s still time to change things, of course, so please share any feedback or ideas inspired by the content below. Let’s take the next steps in pulling this adventure together! It was probably ambitious on my part to try to do an interactive project over the holidays. Since I haven’t heard from anyone regarding the Robber’s Bridge submissions I posted last week, I’m going to hold off one more week before moving forward with work on the adventure. If you’re interested in the project, click on the link above and tell me which options you like and which you don’t! Feel free to riff on the ones you like! If you want to see more interactive projects like this in the future, please contribute. Otherwise I’ll assume the interest isn’t there. OK gang, the results from last week’s poll are in. Thank you to everyone who contributed! The entries are below. Check them out and let me know in the comments which ones inspire you. Feel free to riff on them. Next week I’ll use your input to finalize these answers and then we’ll move on to the next steps. There are just a couple of boundaries that I want to place. First, I want to keep the Ylfarings4See The First People, Middarmark, page 6 mysterious. They could have built the bridge and left it to be discovered by later humans. It could have been destroyed (by giants or otherwise) in a later age. I just don’t want to set anything down about their history. I’ll leave that for you in their games. Second, when considering who currently inhabits this location, keep in mind that I want this to be a small dungeon. Think Skogenby or even smaller. Maybe it could even be expandable by treating each of the towers independently to create three linked adventures. For now, let’s keep this focused.